Stitched Together: So Much For Good Intentions! Well, I think I can say that the new style of blogging has not gone too well, thus far! I blame it on the paperwork the UK Government want me to fill out, every other year to tell them how disabled I am. At least they have cut back on the form size, it is no longer 60 pages but only 33! Anyway, all my brain power was stolen from the blog (sorry). I shall start with some long finished projects, over the next few weeks, and hopefully I will slowly catch up to my current work. First off, is a cowl I knit from yarn that once was knit into a lovely Rikke Hat. I decided the yarn wasn't right for the pattern and frogged (unravelled) it and tried to find another pattern that it would work for. I decided that the yarn, Posh Yarn Francesca DK, which is 40% merino/40% alpaca/20% silk, needed to be a project that emphasised softness and drape. 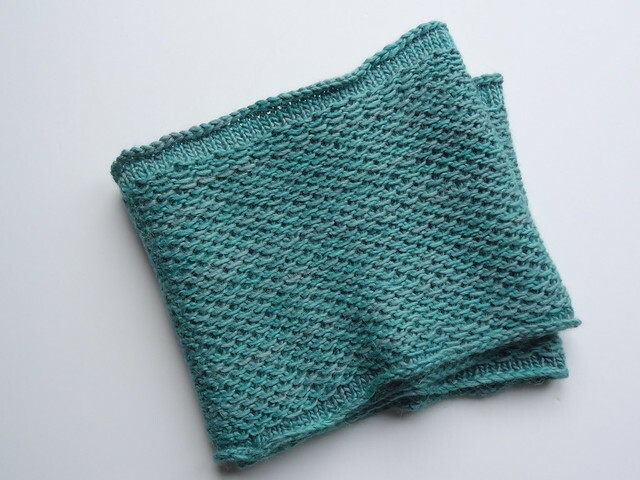 I decided that a previously knit pattern, Honey Cowl by Antonia Shankland was perfect for this yarn. 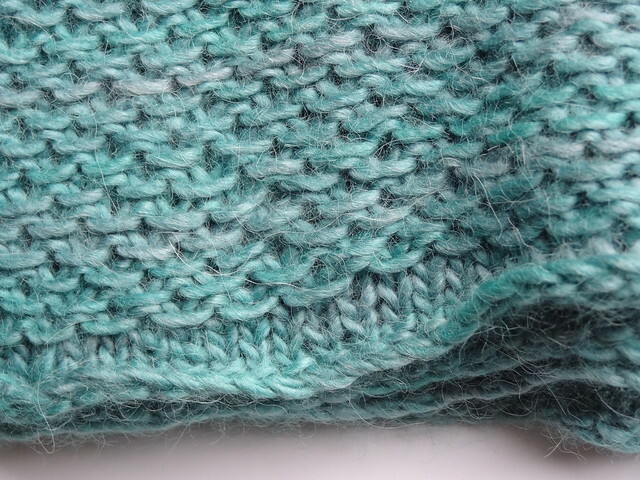 I cast on 150 stitches for this version and after knitting the stocking stitch section of the cowl I weighed the amount of yarn it used and made a note of it. I then did the main section of the cowl until I had the same amount of yarn left over that had been used for the stocking stitch section at the start (plus a couple of grams). I then did another section of stocking stitch before casting off. I think it was a perfect choice. 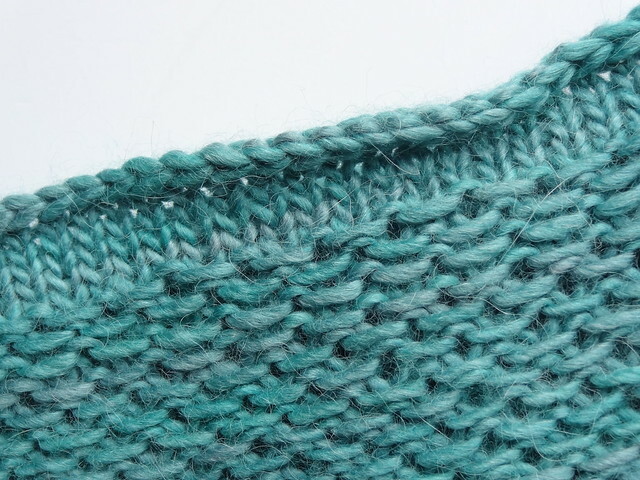 This stitch pattern is so simple (especially for combination knitters) and the yarn, that is carried long the front of the work, shows off the slight changes in the semi-solid yarn. I am very happy with this project, and I love the finished cowl. It will definitely get lots of wear this Winter.